As you may know I love trees! I love how revealing they are, yet they still maintain mysterious. Here are a few from the beautiful island of Kaua’i! What’s with all the colors on the big photo? Natural? What kind of tree is that? So curious…. 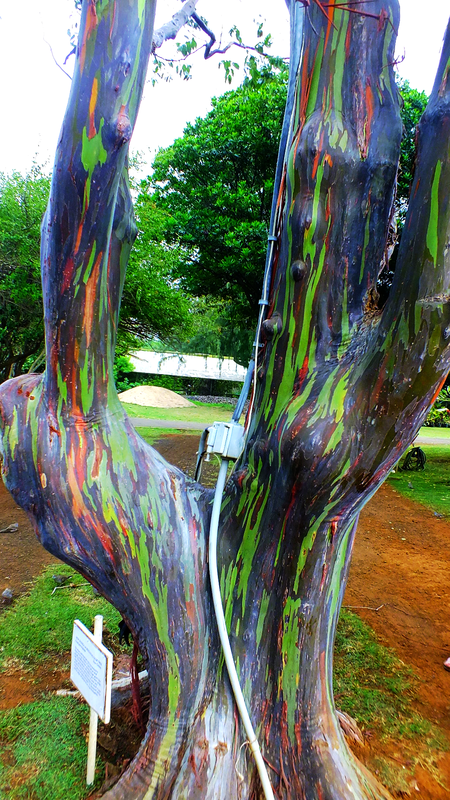 Same question….was this tree actually painted? I can’t see the sign. Its called a Rainbow Eucalyptus tree 🙂 Completely natural! If you love trees, you should explore Washington state. We have entirely too many of them.